The 40-minute fashion show left me breathless! It’s amazing seeing ANTM All Stars (Cycle 17) strut their stuff real life in front of me! I’m so thankful the boy came with me this time so I can really enjoy the show without being distracted to take pictures. The 12 finalists from Sutherland Models Supermodel Search seen in this post also walked the runway! 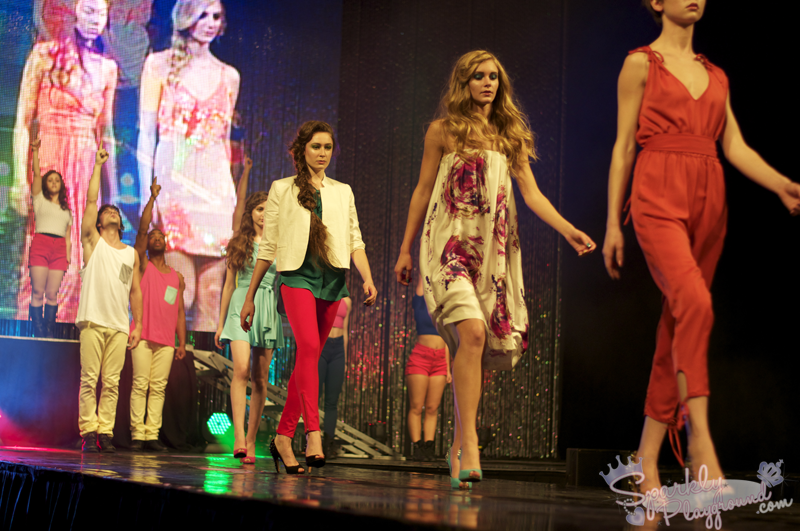 See all the photos from this fashion, check out the Facebook album here. I had to narrow 300+ pictures to these 12! 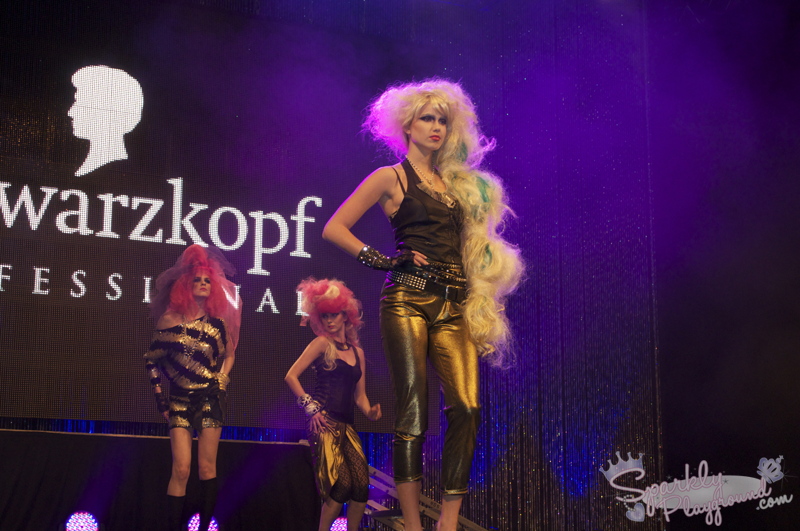 The Schwarzkopf Professional Main Stage Show began with Degrassi Star Luke Bilyk as co-host with Alicia Josipovic. Along with gorgeous models, there were incredible dance performances by T.D.O.T. The Dancers of Toronto, dancer credits include So You Think You Can Dance Canada. Since I went on Friday, the first day, I felt that the organization was a bit messy. We eventually got to our front row seats but I wish at least the ushers would know what’s going on. Another thing was the music was blasting way too loud, I saw so many people covering their ears. At one point, there was no one on stage, music got cut off and the audience started to leave thinking it was finished but then models started coming out again! It was funny yet… so disorganized! Emily and I were actually about to leave but because we were so caught up with our social media updates, we were still sitting so we didn’t miss one bit of the show LOL! Anyway, the dancers and the models were very professional and did their thing. Much of the audience returned to watch the finale walk so it was a great wrap regardless! I’m gunna do one more post on the actual event, ANTM Live Canada, stay tuned ☺! !